Nagpur is the Zero Mile city of India. The name 'Nagpur' appears for the first time in 10th century AD. The city was incorporated in British India in 1853. It became the capital of Central Provinces in 1861. Nagpur is unique in that it changed its statehood 3 times. From 1861 till 1955-56, it was the capital of Central Provinces (Central Provinces and Berar, as it was called then). Thereafter, in independent India, it became part of the Bombay provinces from 1955-56 till 1960 and lost its status of being a capital. After reorganization of the states in 1960, it became a part of the newly formed state of Maharashtra and also its “winter capital”. Western medical care became a reality here when in 1862, Mayo Memorial Hospital (now Mayo Hospital) was established. In 1914, a medical school was started called the Robertson Medical School, offering Licentiate in Medicine and Surgery diplomas. India became independent in 1947. Even before independence, a need for the establishment of a medical school/college was felt. The second world war, however, delayed the establishment of a medical college, and in 1947, the Government of Central Provinces and Berar opened the doors for the establishment of a Government Medical College and Hospital. This college started offering Bachelor of Medicine, Bachelor of Surgery (MBBS) degrees to the students and also started imparting medical care to people of this region [Figure 1] and [Figure 2]. The Robertson Medical School, which was offering diplomas was stopped and at the same place the L.C.P.S. (Licentiate of the College of Physicians and Surgeons) courses were started. 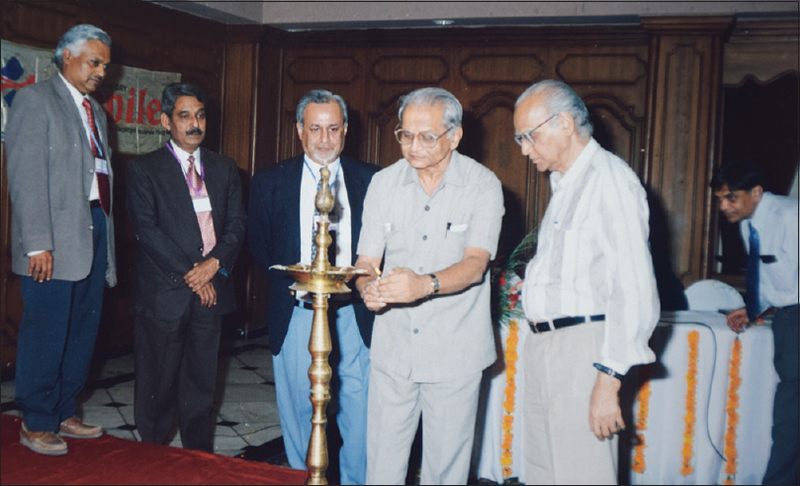 In 1967, exactly 20 years after the opening of the Government Medical College, the Nagpur Municipal Corporation decided to start another medical college called the Corporation Medical College at the good old Mayo Hospital [Figure 3] and [Figure 4]. The doors of Robertson Medical School were closed. Neurosciences was in absolute infancy in the country. In 1950, its beginning in the country occurred at Vellore, then at Chennai, and in 1951, at Mumbai. The beginning had been made. The region of the Central Provinces/Vidarbha did not lack behind. Professor Ramesh Nigam, M.S, M.D, FRCS, then Professor of Surgery at the Medical College took the lead. 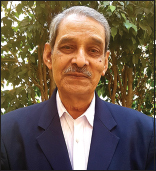 He presented his work on “Hydrocephalus in infants and children, a clinical and experimental study” at the 13th Annual Conference of the Association of Surgeons of India (ASI) at Kolkata in December 1951. 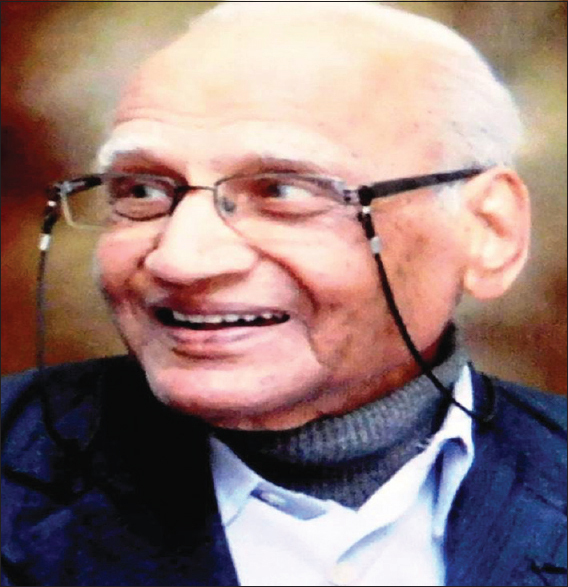 It will not be out of the place to quote Prof. A. K. Bagchi who wrote, and I quote, “Names of Gupta (1950) and Nigam (1952), formerly of Nagpur Medical College, need to be specially mentioned as they have done substantial work in relation to surgery of infantile hydrocephalus” (Souvenir, National Neuroscience Centre, Kolkata, February 1999). Neurology was also growing simultaneously under able guidance of Prof. J. N. Berry…all this under very trying times and difficulty [Figure 5]. The momentum was taken over by the students of these teachers. Prof. V. G. Gharpure (Professor of Surgery) and Prof. B. J. Subhedar (Professor of Medicine) went for higher training to USA. Prof. Gharpure also spent some time at Christian Medical College (CMC), Vellore. On their return, they started taking care of neurologically ill patients. This continued till Prof. Gharpure started his private practice as a neurosurgeon at Aurangabad (in Maharashtra state) and Prof. Subhedar was transferred to Mumbai [Figure 6]. In 1967, the “Corporation Medical College” was started. 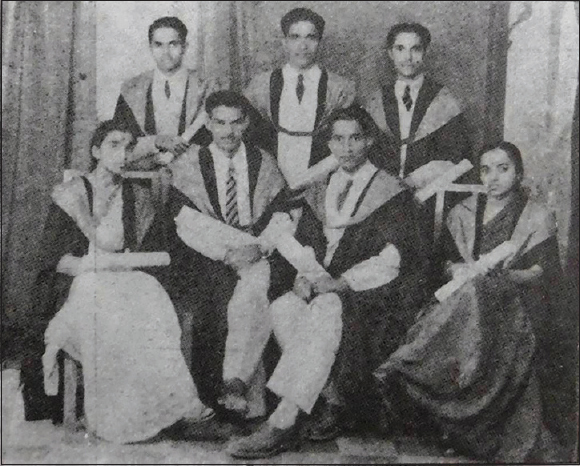 Prof. B. J. Subhedar and Prof. N. A. Siddiqui were transferred to the new medical college in 1968 [Figure 6]. 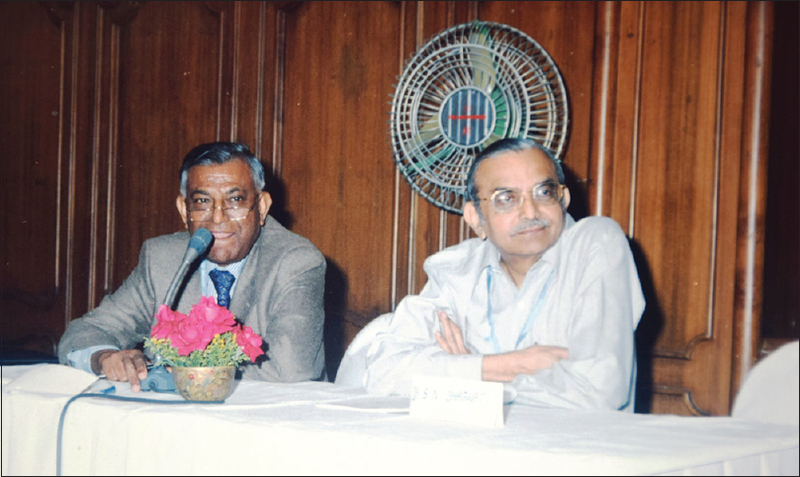 Prof. Siddiqui was trained at Bombay under Prof. Ram Ginde for two years and later at U.K. under Sir W. McKissock (a British neurosurgeon who set up the neurosurgical unit at the Atkinson Morley Hospital, UK. He was Britain's psychosurgeon at that time conducting a lot of prefrontal leukotomies, and was also president of the Society of British Neurological Surgeons) for another two years. Both continued their work in neurosciences at this Medical College. As a student of first batch of this medical college, I was fortunate to watch our teachers perform carotid angiography, myelography, and ventriculography. The college, however, had a very poor facility. I was also fortunate to assist Prof. Siddiqui in surgery, especially in performing a craniotomy for a hydatid cyst, a laminectomy for a spinal tumor or a prolapsed intervertebral disc (these memories are still fresh in my mind!). 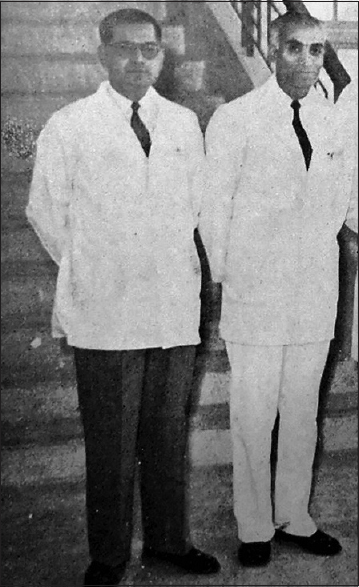 The work continued till Prof. Siddiqui was transferred to Mumbai in 1973 and Prof. B. J. Subhedar left the medical college [Figure 6]. 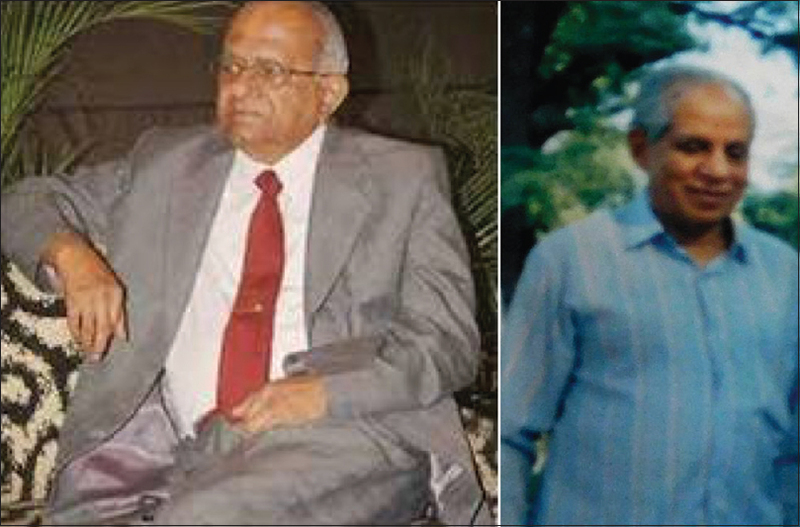 Prof. G. M. Taori, in 1973, came back to Nagpur [Figure 7]. He was denied a job at both these medical colleges. He started his private practice. 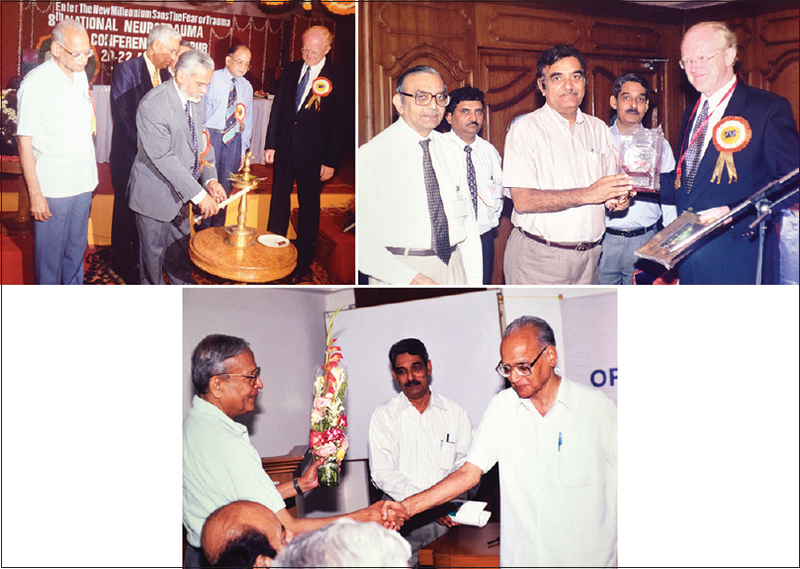 He once told me, “Hemant, those were the days, when I would see only 3 patients a day.” Gradually his work increased. He became busy in his practice of neurology and also in his neurophysiology lab, which was established by him in his clinic. He was often called to see neurosurgical patients too, may it be head injury, an intracerebral bleed, abscess and other neurosurgical ailments. He vividly remembers a case of a young boy with a temporal lobe abscess. He recalls, “I was standing behind the surgeon telling the surgeon where to drill the burr hole.” He was ably supported by the radiologists in performing percutaneous carotid angiography and myelography. 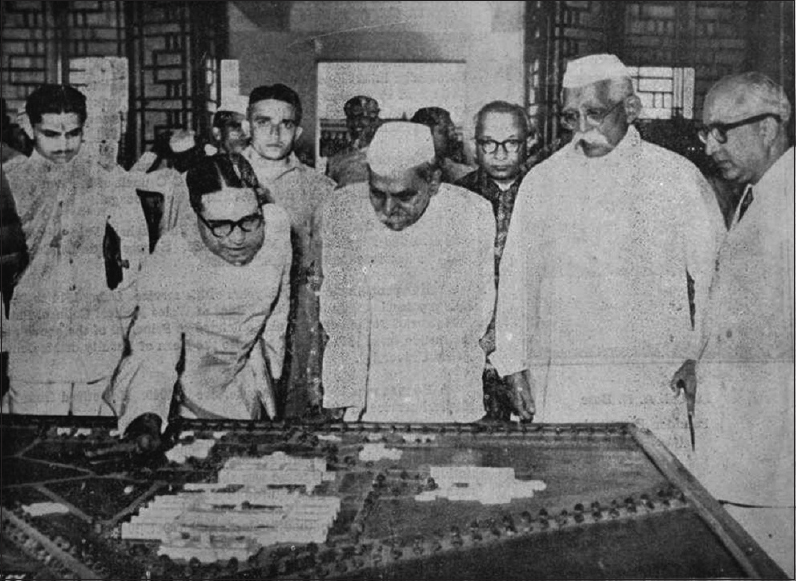 All his efforts, desire and commitment culminated in the opening of Central India Institute of Medical Science in Nagpur in 1984. The institute stands tall even today and is growing by the day. 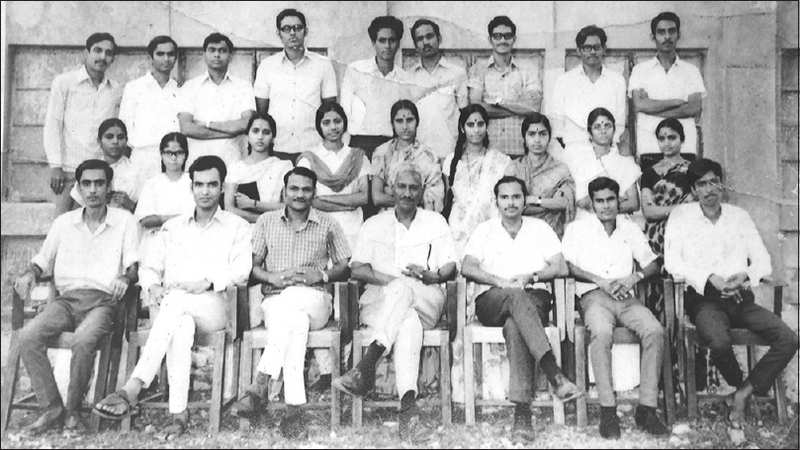 In 1981-82, some more qualified neurosurgeons came to Nagpur. In 1982, there was a single neurologist and two neurosurgeons for this region. Gradually, the numbers increased and by 1995, there were 6 neurosurgeons and 7 neurologists for the 11 districts of Central India. The population of the Central India region is approximately 2.3 crores. At present, the number of neurosurgeons and neurologists is 60-65, who cater to this population. Out of the 11 districts, in 6 districts, neurosciences have made a good progress. “Yes, the Rossinate is healthier now. It will reach the star, no matter how hard, how far” (A Man from of La Mancha). 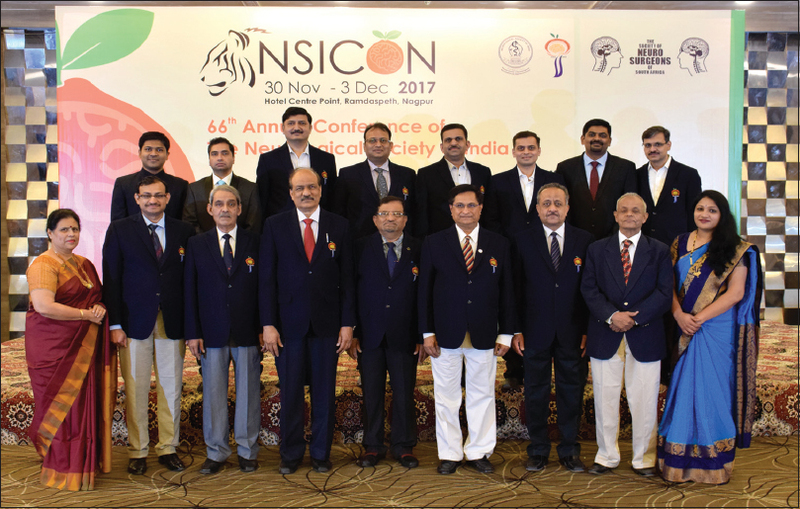 18th Annual Conference of Neuro Spinal Association of India, 2018. Satyarthee GD, Sharma BS, Singh L. Dr. GM Taori. Neurol India 2017;65:450-3.